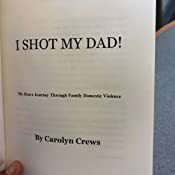 I Shot My Dad! 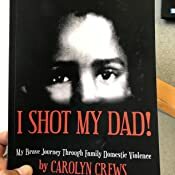 : My Brave Journey Through Family Domestic Violence - Kindle edition by Carolyn Crews. Religion & Spirituality Kindle eBooks @ Amazon.com. This book details the journey of one little girl and her brave attempts to protect her family from the Dad she loved and feared. You will experience a myriad of emotions and feel like you are being transported into the midst of the chaos as you read this riveting story . Length: 104 pages Matchbook Price: $0.99 What's this? 5.0 out of 5 starsNO ONE KNOWS WHAT GOES ON - BEHIND "CLOSED DOORS"
Well, I just finished your book and I could not put it down . . . from start to finish!! In many ways, your life and mine run parallel with my childhood memories. We both conquered adversity during our young years. I no longer see my memory wounds as scars. Today, I know God gave us strength to become who we are . . . strong women. Awesome book!!! This is a wonder book. It sheds the light on the unspoken and the constant denied pain that so many people endure in their household, once the doors are close. I applaud you for having the courage to tell your story to possibly help others. Love her story told in a way that you could imagine being right there with her. Can't wait for her next book. This was a great read. You could feel the fear and tension in every confrontation. It was very brave and courageous of the author to share her experiences with the world. This is an incredible book, very eye-opening! Reading this book made me feel like I can share my story too. 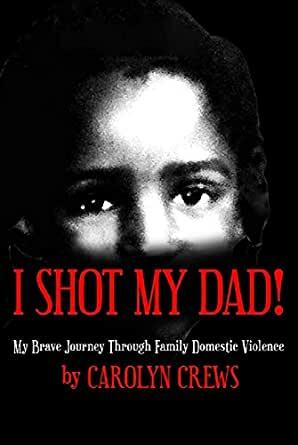 This is a must read for anyone dealing with domestic violence, or knows someone in a domestic violence situation. This book is very well written and could definitely be made into a movie! The events that happen throughout the book are so realistic you feel as though you are experiencing the emotions with the author.